Introducing the new Rubbishinator 3000. 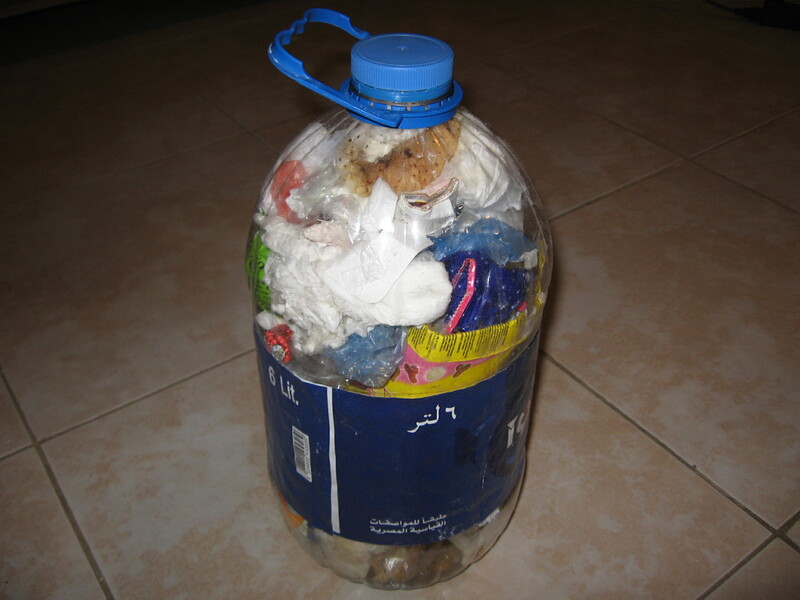 You can buy a Rubbishinator 3000 from most supermarkets in Dahab for as little as 6 le (includes 6 litres of water-also available for free with no water). This incredible technological creation will contain most inorganic waste and can carry up to 3 big bin bags worth of rubbish when you compress it. “I have been using the Rubbishinator 3000 for the last year, it has changed my life”. Once you adopt the Rubbishinator 3000 system, you will never turn back. Authentic, educational, ecological and tailor made desert safaris from 1 to 14 days organised and guided by professional Bedouin guides. Thank you to our guests for your feedback.